This extraordinarily fast BMW M235i conquered the Nurburgring faster than a Porsche 911 GT3 RS. 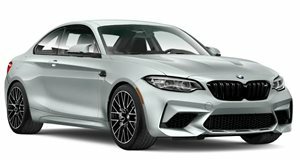 Last year, German AC Schnitzer revealed the rather angry-looking ACL2, an extensively modified BMW M235i packing more power than an M4 GTS. We already knew it was no slouch, but to showcase its prowess the green monster was unleashed onto the Nurburgring where it set a new lap record. Behind the wheel was Touring Car and Truck racing legend Markus Oestreich who managed to set a time of 7:25.8 min, making the ACL2 the fastest road-legal Bimmer to ever rip up the Ring. The achievement also happens to coincide with AC Schnitzer’s 30th anniversary. AC Schnitzer says the ACL2 was perfectly set up to perform the lap, which you can watch in full in the video below. Even two bird strikes on the windshield couldn’t prevent Oestreich from beating the blistering lap time set by the Porsche 911 GT3 RS. The garish green paint finish may be an acquired taste, but there’s no disputing the ACL2’s potent performance that allowed it to tear round the Nurburgring in record time. Under the hood lies an upgraded M4 engine that produces 570 horsepower, while an array of aerodynamic and track-focused components make it look suitably menacing. It also isn’t surprising that the ACL2 set a new record when you consider it has a power-to-weight ratio of 2.59 kg/hp, putting it in the same league as the Ferrari 458 Italia and Porsche 911 GT3 RS. If you were hoping to buy an ACL2, you’re out of luck because it's a concept car designed to demonstrate what the tuner can do. AC Schnitzer, you have our attention.